Tianjin Port (Group) Co. is set to build a 30-square-kilometer world-class artificial island in eastern maritime area of Dongjiang Free Trade Port Zone. As the world's fifth largest port by throughput, Tianjin Port has basically finished its target to be a first-class port in the world. In the coming 15 years, Tianjin Port (Group) will further adjust its industrial structure to be a global leading company. Cargo throughput of Tianjin Port topped 400 million tons by 2010 end and the port achieved annual container throughput of 10 million standard ones. Its class of waterway and terminal were upgraded to 250,000 tons and 300,000 tons. 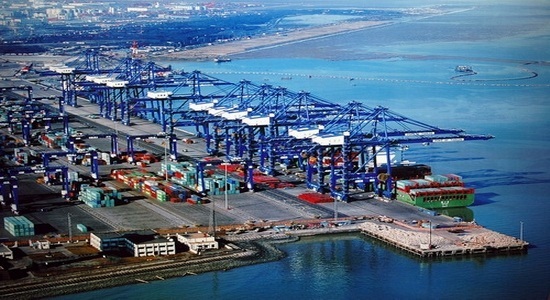 During the 12th Five-Year Plan period from 2011 to 2015, the cargo loading and unloading industry and related industry will still be a focus for Tianjin Port (Group). In the near future, the international logistic, comprehensive service, financial service, tourism and so forth will be further boosted as emerging industries.